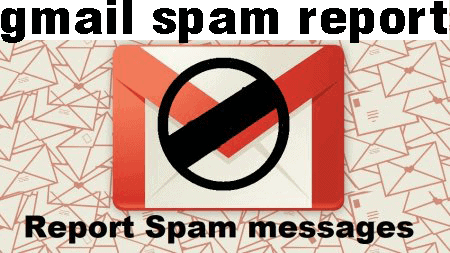 Gmail spam report, Spam messages can quickly get out of hands in your gmail inbox. 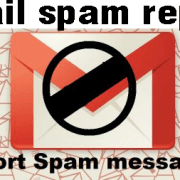 Gmail spam report is an easy way of making sure Spam mails never get to you inbox. Spams accounts for thousand of messages crowding you inbox that create difficulty in looking for important mails. Reporting spam emails can be done right from your browser. Futhermore your can filter your emails using Gmail spam filter. Check the box next to the message or messages in Gmail. You may be able to identify spam without opening the email. You can also open the email, of course. Click Spam at the top of the screen to mark the checked emails as spam. Then select Report spam. You can remove your address from sender’s mail subscription list by clicking report and unsubscribe. Firstly, Check the box next to the message or messages in Gmail. You may be able to identify spam without opening the email. You can also open the email, of course. Click the tab at the top of the screen. Place a check mark in front of one or more messages. Open the message and select More. For messages from specific senders, blocking is usually the better option. Since they are not spam, they are likely to confuse the gmail spam filter hence spam reporting isnt the best option to treat individual messages. Since spam senders do not usually identify with a specific email, blocking a single email does nothing to stop the inflow of spam.